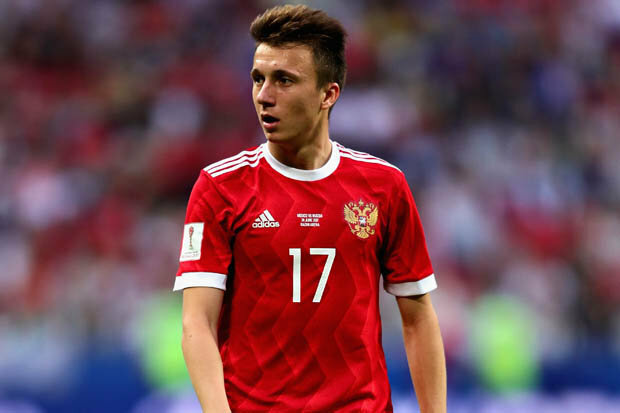 According to Goal, French club AS Monaco have launched a surprise bid for Russian attacking midfielder Aleksandr Golovin, which has sent London rivals Arsenal and Chelsea into panic as they battle for his signature. The CSKA Moscow key man has been heavily connected for a big move to Premier League following some great performances for Russia at the 2018 FIFA World Cup. Golovin impressed tremendously for his country, scoring a fabulous free kick in the competition’s opener. As well as providing two assists, being fearless from the penalty spot in Russia’s two penalty shootouts and making an impression in the midfield throughout Russia’s surprise victory over Spain. In spite of interest from The Gunners and the Blues, it’s Monaco who have tabled an official offer for the 22-year-old who’s been drawing interest since the 2017 confederations cup.